1. Establish healthy eating habits and dietary patterns. 2. Pack healthy school snacks & lunches that your kids will enjoy. 3. Incorporate mindful eating and establish a healthy relationship with food. 4. 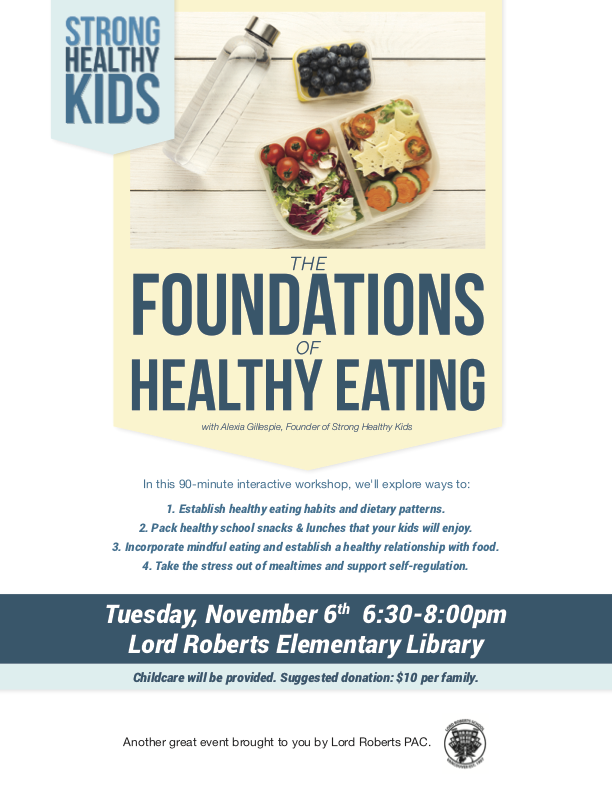 Take the stress out of mealtimes and support self-regulation. Admission is Free – but as with all PAC events, donations are always accepted. Suggested Donation of $10 per family.